Obesity is a quickly growing problem in the world today with over seven million people in Australia and New Zealand being overweight, and with over two million of those people considered obese. These are alarming statistics, considering the access we have to good quality fresh foods and the up-to-date information available to us through the internet, books, media, and Healthcare Practitioners. There is no question what-so-ever about the fact that “we are what we eat”. The cells and tissues of our bodies can only be replenished from the foods and beverages we consume so our food choices are vital to weight loss or gain. So how can we prevent excess weight gain and achieve optimal health and vitality through our diet? It is important to be aware of the kinds of foods that your body needs to nourish it and provide you with abundant energy and vitality. When your cells are properly nourished, you will no longer crave or be attracted to those foods that are high in sugars, starches and saturated fats which make you gain weight and which are very destructive to our health. You need to be sure that the diet you are eating is one that keeps your metabolism ‘revved up’ for fat burning. For millions of years, humans ate a diet that was largely comprised of fresh fruit, vegetables, and lean protein sources such as red meat, fish and poultry. It is only in the last couple of centuries that grains were introduced into the diet through agriculture and now we are consuming way too many of them. What’s worse is that most grains eaten today are highly processed and refined and contain very little of their original nutritional value. We are also eating more sugars than ever before and less protein-containing foods. Sugars, refined grains, and starches have a high Glycaemic Index (G.I), which means that they cause a large amount of sugar to enter the bloodstream at once. This creates hormonal problems, affects energy levels and increases our appetite, all of which contribute to an increase in fat storage. In addition to this, we are eating more calories than we are burning up with exercise as we lead more sedentary lives than our ancestors. To lose body fat, you need to eat fewer calories than you burn. Unfortunately when you reduce your calorie intake you not only lose fat but you also tend to lose muscle mass which is required for fat-burning or thermogenesis. Thermogenesis occurs in the mitochondria (or powerhouse) of brown fat cells. It results in the expenditure of energy for the generation of heat and has been considered to contribute to weight loss via an increase in energy expenditure. Gaining a little muscle helps boost your metabolic rate, which is your body’s ability to burn calories, and decreases your chances of putting the fat back on once you start consuming a few more calories. Another way to help boost your metabolism is to provide correct nutrient support for healthy thyroid function. Thyroid hormones are involved in the stimulation of thermogenesis as well as other aspects of fat metabolism. There are specific herbs and nutrients which assist with fat loss by supporting thyroid function. An effective program for losing excess fat is the Shake It Weight loss program, which has been shown to reduce fat and control excess appetite. It is a natural fat loss system which uses the body’s own metabolism to burn fat. The Shake It Program which is clinically proven, and safe and easy to follow, helps you to lose up to 2kg of fat per week whilst preserving your muscle mass. Available only from qualified Healthcare Professionals the Shake It Program is based on you gaining a maximum of 10% of calories from low G.I carbohydrates, 60% of calories from fat, and around 30% of calories from lean protein. The use of only low GI carbohydrates ensures that the body does not produce high levels of insulin which is important as insulin causes the body to store carbohydrates as fat and stops fat being converted to energy. The high protein content is critical to ensure that muscle mass is preserved so that fat is converted to energy. Many weight loss diets are ineffective because they deplete the body’s fluid levels and muscle mass which can cause a ‘rebound effect’ in weight gain, damage to the immune system, and in some cases, irreparable harm to a person’s health. Body composition (or the fat to muscle ratio) needs to be the focus of an effective “weight loss” program. Reducing body fat while preserving muscle mass is one of the best ways to promote good health, improve vitality and body shape, and increase longevity. Our Naturopath will explain the program to you, complete an individual analysis of your body composition, help you to set goals, develop an exercise regime, and monitor your progress. The website www.shake-it.com.au is a free source of additional information where you can download recipes, a shopping list, and a diet diary to help you track your progress. 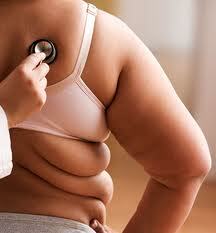 Cardio exercise, like resistance training, is crucial for losing fat. You should aim to keep your heart rate within the target zone and workout long enough (20-30 minutes) to get the benefits. To calculate target heart rate, simply subtract your age from 220, and then multiply that number 0.65 and 0.85 to get lower and upper limits respectively. Any pulse rate above the upper limit generally means you are working too hard and probably gasping for air, while any pulse rate falling below the minimum means you aren’t pushing it hard enough. How much cardio you need to do depends on what you’re trying to accomplish. To build muscle, keep cardio at about 30 minutes, 3 days a week to keep the heart in shape without burning too many calories. To lose body fat, start with 3 days of cardio and work up to 4 or 5 days a week for 30 to 45 minutes of activity such as fast walking, running, cycling, swimming or climbing stairs. If you have access to a gym, then try the treadmill, Stairmaster, rowing machine, or exercise bikes. Resistance training is also an essential factor in both weight loss and muscle gain. Not only does it make the body and bones stronger, it also helps to raise the metabolism so more calories are burnt. You also need to be aware that your nutritional and biochemical make-up may be very different from other individuals. A clinical weight management program allows your practitioner to perform a thorough assessment and can then tailor a specific weight management program for your individual needs that will provide better weight loss results. Another important adjunct to effective weight loss is colon cleansing to ensure a thorough cleansing of the colon to remove all stagnant wastes and toxins which can be contributing to weight gain, lethargy, poor thyroid and liver function, and a decreased metabolism.